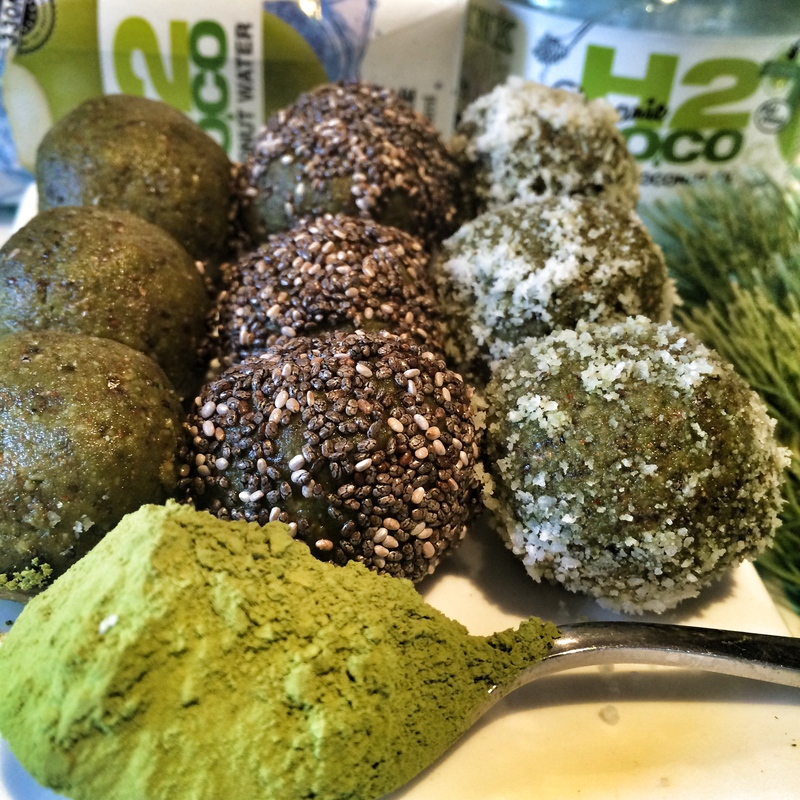 Wondered how you can get more green tea goodness in your diet without having to go to the bathroom in the middle of the night… these Raw Matcha Balls have your name on them! What’s Matcha…A tradition of Japanese culture, Matcha Green Tea is the highest quality powdered green tea available. It’s made from the nutrient-rich young leaves of Camellia sinensis plants, dried and stored to preserve its goodness. It’s widely rated as one of the most powerful super foods around. One of the most powerful antioxidants, yes a widely used term but very valuable I a balanced diet for eliminating unwanted wastes in the body and fighting off unwanted disease. Green tea is so popular because it contains catechins, including the EGC g, recognised for its cancer fighting properties. Also associated with L-Theanine is the production of dopamine and serotonin, and we all want more of these don’t we? These chemicals enhance mood, memory and concentration. It’s highly rated as an energy boost due to its unique combination of nutrients (although it does contain caffeine like all green tea but I said not to cause the usual side-effects such as nervousness and hypertension. And tadaa…it has also been shown to increase metabolism and help the body burn fat without negative side-effects of other diet pills such as increased heart rate and high blood pressure. 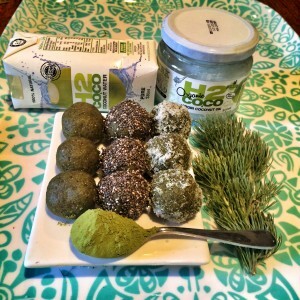 If you’re like me and find most bliss balls too sweet, this simple little recipe will hit the spot. 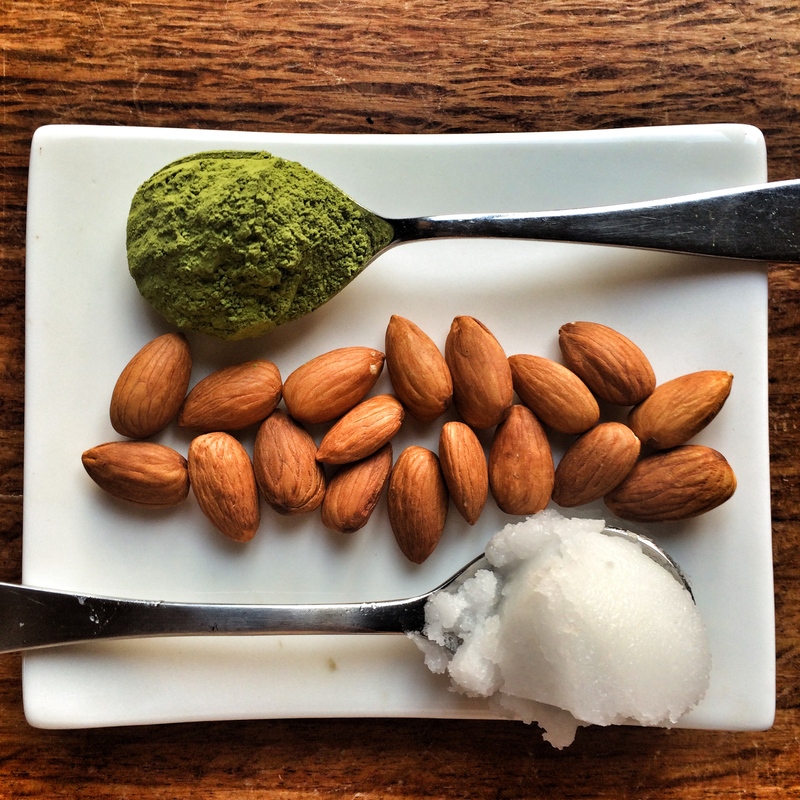 The Matcha Maiden powder adds an earthy flavour and balances the sweetness of the dates. I prefer H2OCoco, coconut water and organic coconut oil. The water is totally natural with nothing else added. The oil is organic. ‹ Yoga on the Go!